A rarely discovered Snapping Prawn, Alpheus macrocheles, was photographed at Kimmeridge Bay, Purbeck VMNR, Dorset. 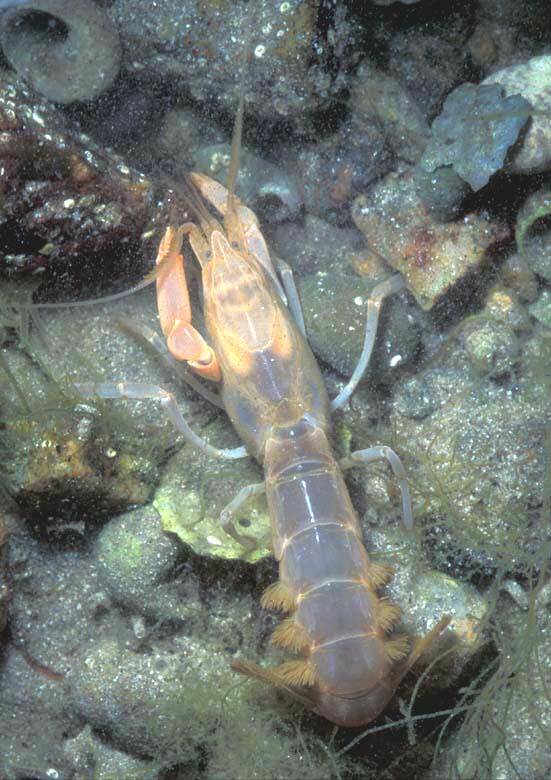 This crustacean appears a regular resident in the bay as thirty pairs were discovered a few weeks previously. The small crustacean on the right was discovered on the shore at Eastbourne, Sussex. 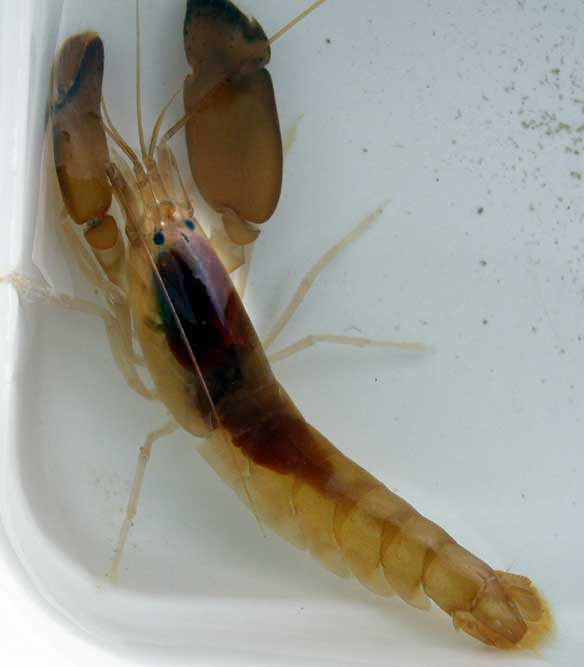 This is Alpheus, the Snapping Prawn and not Axius. Note the absence of the triangular plate that extends to a minor rostrum between the eyes. It is Alpheus macrocheles, a scarce species found on the south coast of the British Isles (in British seas). It is one of two Alpheus recorded in the British fauna. 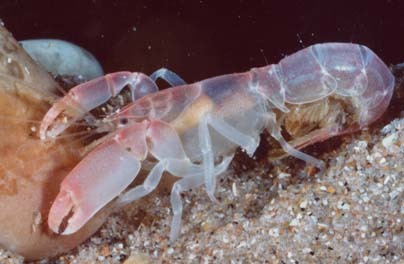 This small crustacean was observed at Le Hocq, Jersey on 23 July 2005. 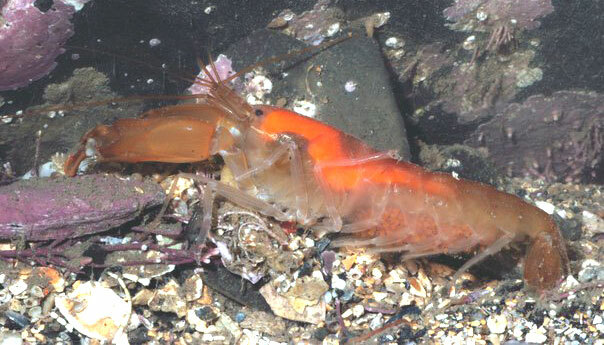 The prawn lives in burrows offshore. The numbers of this crustacean which seems to be uncommon in British seas, are unknown. Callianassa tyrrhena (Petagna, 1792) Roscoff (Bourdon, 1965). Upogebia pusilla (Petagna, 1792) Roscoff (Bourdon, 1980). Synonym: U. littoralis Risso.